Adelaide has made two changes for Saturday night’s Sir Doug Nicholls Indigenous Round clash with Fremantle. Forward Josh Jenkins and wingman David Mackay have been recalled, replacing the injured Curtly Hampton (ankle) and Jordan Gallucci, who has been omitted. Jenkins and Mackay return after being left out of the team that beat the Brisbane Lions last weekend. Rebounding defender Brodie Smith, who suffered hamstring tightness in the win over Brisbane, has also been selected in the team. Gallucci, forward Jono Beech and ruckman Reilly O’Brien are the emergencies. The Crows will take on the in-form Dockers, who have won six of their last seven games, at 7:10pm. Gates open at 5pm and curtain-raisers featuring participants of the 2017 McLeod Challenge will take place from 5:05pm. Full match day information is available here. Fans are encouraged to arrive early to allow for additional security measures at Adelaide Oval and to enjoy the pre-game entertainment, which will involve the stadium lights being turned off at 6:30pm. Keep an eye out for the Crows players wearing special hand-painted boots on Saturday night. You can bid on the Indigenous Round-inspired boots as well as player match-worn Indigenous guernseys and run-out tees in CROWmania’s online auction. 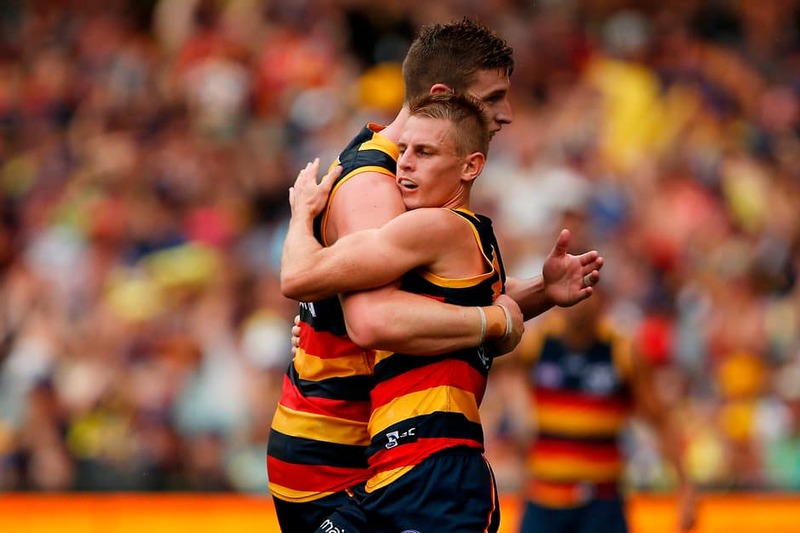 The biggest crowd for a match between Adelaide and Fremantle was 47,423 at Adelaide Oval in Round Six last season. See more stats that matter. Tickets, including General Admission, Reserved Seat and Western Stand guest passes, are still available. Purchase tickets here. Half-forward Riley Knight will return from a corked glute in the SANFL on Saturday. The SANFL Crows will take on North Adelaide at Prospect at 2:40pm. Ticketed Crows members receive free entry to the Club’s SANFL games upon presentation of their 2017 membership cards.